Throughout its history, the Columbia Museum of Art’s mission has been to celebrate outstanding artistic creativity through its collections, exhibitions, and programs, interacting in ways that engage the mind and enrich the spirit. Established in 1950, the museum has become Columbia’s premiere cultural institution. Situated in the heart of South Carolina in Richland County, the museum serves as the state’s cultural anchor, providing art and educational opportunities to a community of over 400,000 individuals in the county with the mission of encouraging lifelong learning. Currently, the museum serves over 150,000 patrons each year, including 28,000 children. 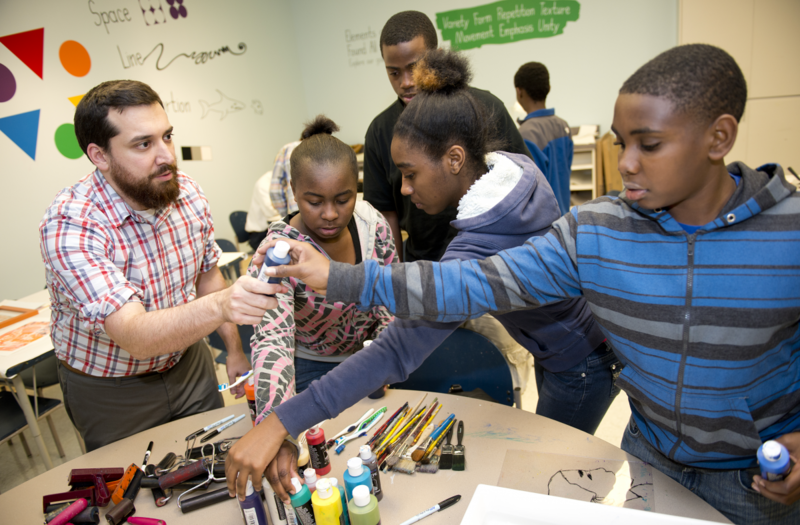 Through partnerships with groups that target at-risk, underserved individuals and provide alternative afterschool options, the museum continues linking their most vulnerable populations to quality arts education. Literacy partnerships are a cornerstone of the museum’s programming. Coordination with like-minded organizations allows the museum to embed themselves into the community, advocating for the educational benefits of the arts. Partnerships such as one the museum created with St. Lawrence Place, a transitional housing community for homeless families, allows the staff to facilitate weekly afterschool arts program for children ages four- to twelve-years-old, alternating locations between the museum and St. Lawrence Place. 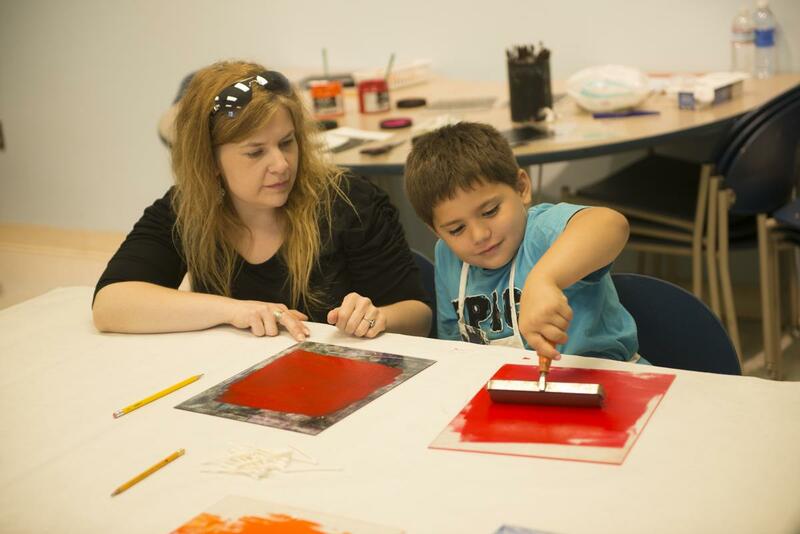 While at the museum, children participate in tours and special exhibitions, and have the opportunity to complete hands-on studio art projects. Recently, the museum instituted the CMA Creativity Club, helping to increase literacy for preschoolers and their adult companions in the rural, high-minority areas of Fairfield County. The program partners with county libraries, engaging participants with stories read by librarians. Following storytime, the museum’s staff and volunteers lead a handson art experiment that relates to the literacy theme presented during the program. Inspired by the museum’s commitment to communities in need, the Creativity Club addresses the area’s achievement gap by connecting the power and importance of art to other literacy activities. 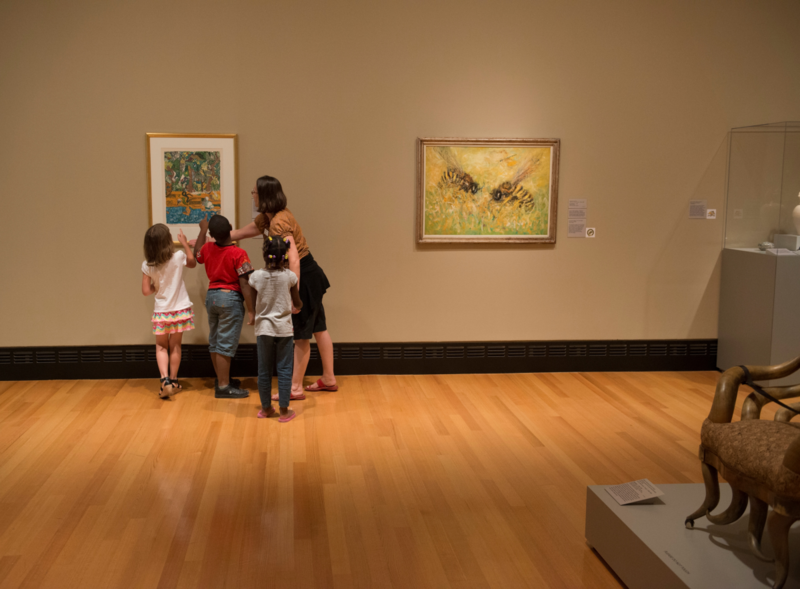 Recognizing the healing power of arts with children on the Autism spectrum, the museum developed a pilot outreach program “Arts and Autism.” The program provides these children opportunities to explore the museum in a nurturing environment. Children are prepared to visit the museum on their own, as the program builds confidence in their ability to participate in the museum’s age-appropriate programs.